Progressive jackpot games are exciting and fun to play, and becoming increasingly popular. The basic concept of a title such as this is that there are a number of consoles for land based or online games, which are networked together. These programs all contribute to a collective jackpot, usually taken as a fraction of the wager of each player in the network. They are exceedingly popular simply because you can sit and watch them tick up as you make your wagers. The most popular, but by no means the only, progressive option is slots. There is something exciting about seeing that pot increase and knowing that you could win it in exchange for a nickel or a quarter in a slot machine. Slots are by no means the only title that offers such large winnings, though some titles are unable to offer this style of winnings in their land based casinos simply because of logistics. It could be difficult, to say the least, to try and keep track of this type of pot on a poker or roulette table. This is easily avoided by playing these games in online casinos. 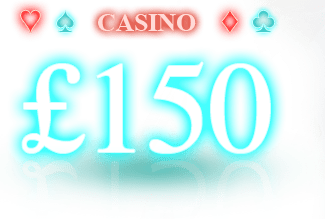 Our progressive jackpots at Old Havana, for example, can be offered on these games and others, because it is much easier to keep track of lots of people contributing to them in an online environment. It doesn't decrease the thrill of watching it add up though. We strive to offer you the most unique and inventive games and jackpots available in casinos worldwide. Implementing progressive jackpots at Old Havana is just one way we try to accommodate this. Keeping you, as our customers, happy and entertained is our first priority. Playing any one of our titles, whether they fall under the umbrella of these impressive winnings or not, should be an experience that you want to repeat. Feel free to visit our website, have a look around and join us in a game of slots or blackjack. Watch those jackpots rise sky-high and know that with each bet you make, you have a chance of becoming one of our huge winners.